Plexus vs Isagenix: Which Wins for Weight Loss? You are here: Home / Blog / Diet and Weight Loss / Plexus vs Isagenix: Which Wins for Weight Loss? Plexus and Isagenix are two very different companies, each with their own set of products. Yet, they have one idea in common – weight loss. In this Plexus vs Isagenix comparison, we’re looking at the weight loss products from each company, including their similarities and differences. We’re particularly interested in which items actually promote weight loss. After all, if you’re going to spend time and money on products – they should help you to lose weight. Otherwise, it’s just a wasted effort. Short on Time? Skip Straight to the Final Comparison! Plexus and Isagenix are both considered multi-level marketing companies (MLM for short). The style means that people have the chance to earn money by promoting the products. The MLM aspect is also why you’ll see many passionate supporters for both brands. MLM isn’t entirely bad. It’s great for increasing brand awareness and some companies still produce amazing products. But, many distributors are biased toward their own company. That makes it more difficult to see which products are actually any good. Some won’t even recognize their own bias. The style also means that, on average, the products are expensive. They may be more appealing than other brands and might even be worth the price. But, you’re going to pay more than for a similar item from a regular store. Both companies have a strong focus on marketing as well. The products are promoted as being powerful and amazing, as is the income opportunity. In both cases, the marketing suggests an emphasis on quality and on the products themselves. The end result is that both companies have a similar vision and focus. In many ways, this is the reason for comparing them. Because, underneath it all, there are some significant differences in the products themselves. Plexus and Isagenix both have a large mix of products, covering multiple areas. This post is mostly focusing on weight loss. But, we’re still going to look briefly at what else they sell. Plexus Slim. This is the ‘pink drink’ – the most famous product from Plexus. It’s basically a powder that you mix into water, which is designed to promote weight loss. Plexus Block. A weight loss supplement designed to block absorption of some of the carbs and sugars that you consume. Plexus Accelerator+. Another weight loss supplement. This one is designed to increase your metabolic rate, boosting weight loss as a result. Plexus Boost. A hunger suppressant weight loss supplement. Plexus 96 Chocolate. Whey protein powder, designed to be used as a meal replacement shake or a snack. Plexus 96 Vanilla. The same protein powder, just vanilla flavored. The Nutrition section contains many different products. Most of these are supplements of some form, although they’re all targeted at specific uses. For example, one is Plexus Bio Cleanse, which focuses on detoxing and cleansing. Another is Plexus Nerve, which is for nerve pain. They all tend to use a combination of nutrients and herbs. The Personal Care section simply includes three products. Two are creams and the other is the Plexus Breast Chek kit (they spell it like that). The items are useful, I’m sure. But, they’re not terribly exciting. Cleanse for Life. Described as a ‘synergistic blend of natural cleaning herbs and antioxidant botanicals’. The product is basically a premade drink that contains various herbs and nutrients, along with a significant amount of sugar. IsaFlush. An herbal supplement designed to improve digestive health. The main ingredient is magnesium. Natural Accelerator. This is a weight loss supplement, designed to boost the metabolism. IsaLean Shakes. Isagenix has a range of meal replacement shakes, including some that use whey and others that are dairy free. Ionix Supreme. This is a drink that offers various nutrients and antioxidants. IsaLean PRO. A variation on the meal replacement shake that contains more protein and some different nutrients. It seems to be designed for muscle development and athletes. e+. An energy shot using plant-based caffeine and natural ingredients. The performance category is similar and includes IsaPro, which is yet another variation on the protein shakes. There is also a drink for hydration and various workout supplements. The final section is Healthy Aging. This simply includes supplements, most of which are fairly typical for the industry. Both brands offer protein shakes – although the ones from Isagenix are more popular. Those have been reviewed here previously, and also compared to 18 Shake and Shakeology. In contrast, the Plexus shakes almost feel like an afterthought, as if the company includes them simply to have protein shakes. The shakes from Plexus come in two flavors, chocolate and vanilla. Isagenix offers many different styles and flavors. The flavors overlap but there is still more variety than with Plexus. 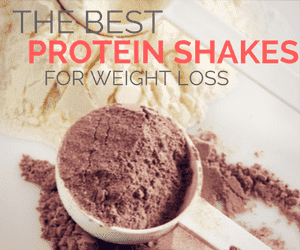 There are other styles as well, including some ranges that contain more protein and others that are protein powder only, rather than focusing on meal replacement. But, those aren’t included in the company’s weight loss section, so they won’t be included in the comparison. The Plexus 96 shakes are sold in sets of 12 individual packets. Each set costs $35.95 retail, which averages to around $3 per serving. You do receive a discount for setting up a monthly auto shipment. The Isagenix shakes are sold in packets or in canisters, each containing 14 servings. The canisters cost $52.27 retail, which calculates to around $3.80 per serving. The packets cost $57.27, which calculates to around $4.10 per serving. There are discounts if you join the company. But, the same is true for Plexus – making the Plexus shakes less expensive. But, the serving size is much higher for Isagenix. This means you'd get more powder per bag of Isagenix - which helps justify the price difference. Either way, both brands are expensive and there are many cheaper protein shakes on the market. The shakes from Plexus are gluten free and vegetarian. That’s it. The Isagenix shakes are soy free and gluten free. Some of them are also dairy free. There is a kosher shake elsewhere on the site as well. The first thing to mention is the serving size difference. Isagenix has a much larger serving size, more than twice what Plexus offers. You could double the serving of Plexus to get better outcomes - but most people wouldn't, as you only get 12 servings per order. Neither shake is very appealing nutritionally. Protein. Isagenix is the winner here, with both versions offering 24 grams per serving. Realistically, 15 grams is too low and wouldn't keep you satisfied for long. Fiber. Isagenix offers 8 grams per serving, Plexus contains none at all. This would reduce how filling the Plexus shakes are as well. Fat. Isagenix is higher in fat, which also adds to the calorie total. But, this does help to make the shakes more filling. Calories. This depends on what you're looking for. Plexus has fewer calories per serving. But, if you're using the shake to replace a meal, higher calories are often better. Sugars. Plexus doesn't contain any sugars, while Isagenix has a shocking 11 grams for the whey version and 6 grams for the dairy free. This makes the dairy free much more powerful for weight loss. Carbs. If you're on a low-carb or keto diet (or are just avoiding carbs), you should go with the Plexus shake. The ones from Isagenix are both very high in carbs. Of the two, the Isagenix shake works best for meal replacement and would be filling. The plant-based version is actually more powerful, containing much less sugar. In contrast, the Plexus shakes would be better as snacks, not as a meal replacement. The shakes from Isagenix offer more flavors and dietary options. But, neither brand has powerful products for weight loss. The other main area to talk about is the supplements. Plexus has three of these, while Isagenix has two. The Plexus supplements are promoted as a key weight loss tool. They are even sold in combo with Plexus Slim and are considered as a way to boost the effects of the drink. In each case, the pills contain various nutrients (like vitamin B6, B12 and niacin), along with plant-based ingredients. While they all contain multiple ingredients, the following are the ones the company emphasizes. Plexus does also offer some evidence for the effectiveness of their products. This is minimal and is mostly based on single ingredients, rather than the supplement as a whole. My largest problem is the marketing. Much of the phrasing suggests that these supplements can cause weight loss. Some information even implies that you decrease your chance to lose weight if you don't use them. Isagenix uses less marketing for their supplements and the impacts aren’t meant to be dramatic. For example, IsaFlush is just digestive support and may not even promote weight loss directly. The products use different sets of ingredients but their general pattern is the same. You’re just provided with a combination of nutrients and herbs that may possibly promote weight loss. Some of the ingredients do have some evidence. For example, green tea extract and yerba mate are both common choices for weight loss and have been studied. Despite this, weight loss supplements tend to have minimal impact. Even if some of the individual ingredients could help, there isn’t much evidence. Plus, the amount included in the supplement is typically lower than has been studied. This typically means that a supplement might have a very small effect. But, there’s a greater chance that it will do nothing at all. Most also have many different ingredients and there is always a risk of side effects. It’s rare to find a weight loss supplement that’s actually powerful – and those typically end up being banned for putting you at risk (as Livestrong explains). Of the two options, I prefer Isagenix, simply because the company is being more realistic. But honestly, the products are much the same. They might work – but they probably don’t. The final set of comparisons is the drinks. The products are very different to one another. But, it’s still worth looking at them. I’ve reviewed Plexus Slim in the past, so I’m only going to cover it briefly here. The product is a powder that you add to water, which creates a pink drink. The powder contains various herbal ingredients along with a prebiotic. These can be seen in the image below. Basically, there is some evidence that these ingredients can contribute to weight loss but not a large amount. For example, some studies suggest that Garcinia cambogia may promote weight loss (1), but other studies have failed to find an effect in humans (2,3). Even if some of the compounds do promote weight loss, you won't get much of them in Plexus Slim. That further decreases the chance of an effect. The one exception is the xylooligosaccharide, which is the prebiotic. The compound acts as food for gut bacteria and can improve the composition of those bacteria (4,5,6). This is desirable for health, especially for anyone with an unbalanced gut microbiome. There is also some evidence that the right balance of gut bacteria could promote weight loss. But, it’s unclear whether xylooligosaccharide could have that effect directly. In practice, the drink could possibly promote weight loss but there isn’t much evidence. Reviews are also mixed, including some people who love Plexus Slim and others that see no benefit whatsoever. The name Cleanse for Life implies a detox or cleanse of some type, which is probably why the drink is in the Weight Loss category from Isagenix. But, as the company says, this isn’t that type of product. Instead, it offers a ‘whole body cleansing on a cellular level’. Most of the ingredients chosen are typical in this industry, like aloe vera and ginseng. They could have some impacts on weight loss but there isn’t much evidence. A more significant ingredient is the fructose, all 8,354 mg of it. To put that in context, this is around 8.3 grams of sugar for every 118 ml (4 oz) serving. You’re meant to be having three servings per day. That’s a lot of sugar for a weight loss product. There seems to be a powdered version of the drink too but that doesn't change anything. To be honest, comparing Cleanse for Life and Plexus Slim isn’t really fair. They’re completely different products. But, if I had to pick a winner, it would be Plexus Slim. The reason is simply Cleanse for Life doesn’t make any sense. At least Plexus Slim contains prebiotics and a logical choice of ingredients. I’m still not convinced that it would help you lose weight – but it has a better chance than Cleanse for Life does. There is considerable overlap between the various products. Yet, each company also has their own focus. If you want to lose weight with Plexus, the main idea is to buy Plexus Slim each month, along with one or more of the supplements. In contrast, Isagenix offers a 30-Day Weight Loss System. This includes some products from the Weight Loss category, along with others from elsewhere on the site. But, the key emphasis is on the shakes, along with supplements. So, which works better? Looking at the systems collectively – Isagenix will be more powerful. The reason is simple. Protein shakes do work for weight loss. They act as an effective way for people to decrease their calorie intake, helping people to feel full for longer. Out of the two brands, Isagenix has a greater focus on shakes, which is the key reason for choosing them. The style doesn’t work for everyone and it isn’t as powerful as following a healthy whole foods diet. But, it is a viable approach for many people. The site Healthline talks more about why this is the case and how you can take advantage of shakes. On the other hand, products like Plexus Slim and the various supplements have much less evidence. They might promote weight loss. But, there’s a good chance that they won’t. That being said, if you're going to rely on shakes for weight loss, neither brand is especially powerful. There are many better products out there, ones that are more effective and competitive.